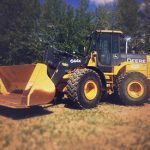 WE CARRY THE RENTAL EXCAVATORS THAT THE ALBERTA HEAVY EQUIPMENT MARKET IS ASKING FOR. 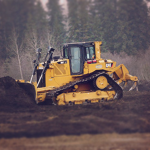 We source our fleet of excavators from three mainline heavy equipment manufacturers; CATERPILLAR, JOHN DEERE, AND HITACHI. Our line-up of excavators range from 200 to 870 sizes and we’re constantly adding inventory. We have a variety of attachments available for our excavators, including rippers brush rakes, tampers and twist buckets. 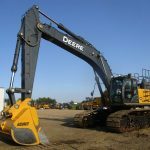 WHEN SELECTING AN EXCAVATOR FOR RENT OR PURCHASE, THERE ARE A FEW THINGS EVERY CUSTOMER SHOULD CONSIDER AND OUR TEAM IS AVAILABLE TO HELP YOU MAKE THE RIGHT DECISION. First things first, you need to make sure that the weight capacity of the excavator is sufficient to safely perform the job requirements. 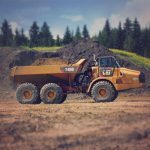 Having the proper power and dig ability can be the difference between keeping a job on track and delaying progress. Second, consider the job site conditions and surroundings. Do you need catwalks or a cab with guarding? Certain jobs have specific safety regulations set by Provincial and Federal safety agencies, failure to comply with their guidelines can result in heavy fines and severe job delays. 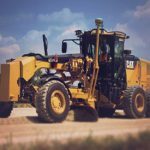 Third, take a look at the attachments and the different hydraulic systems in place; different attachments may require certain hydraulic systems. The use of attachments can increase productivity and help protect your bottom line.